We all know that intercompany agreements form an essential part of any large multinational group’s transfer pricing compliance strategy. This is especially the case when it comes to intangibles. Here are the top 5 mistakes we often see from a legal perspective, in relation to intercompany agreements for intangibles. Putting in place intercompany agreements does not have to be complicated. But it does require discipline and organisation. A given fact pattern as regards the legal ownership of registered or unregistered IP, the incurring of external costs and the activities of personnel may be consistent with different arrangements and allocations of risk between the parties. By failing to put in place intercompany agreements, a group is missing the opportunity to present a consistent account and support its transfer pricing. 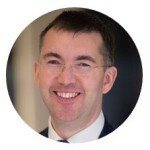 We often come across groups which have based their intercompany agreements on arms’ length commercial contracts used with unconnected third parties – with the result that they are overly long, and difficult to review quickly. Worst of all, they may contain contractual procedures which are not followed in practice, or which directly conflict with the way the arrangements are actually administered. This one is obvious. Note that “beneficial ownership” is not the same as “economic ownership.” The former exists, whereas the latter doesn’t. Irrespective of what transfer pricing model is being followed, the royalty and licence arrangements need to match ownership, otherwise it is unhelpful. A number of factors come into play here, such as the terms on which R&D services are supplied within the group, any previous internal assignments, and also the terms of any licences granted to multiple users within the group. This may also be described as “vertical inconsistency”, and involves considering the terms on which pre-existing IP was acquired from outside the group (whether by way of purchase or licence), as well as the terms on which IP licenses are granted to third parties such as customers and distributors. From the perspective of any given company within the group, these arrangements need to reflect a level of risk which is appropriate for that entity to bear, given its financial resources and its ability to have recourse against other parties. Intra group royalties are often expressed as a fixed, regular amount which is subject to adjustment (or “true up”) following each year end. As with any other essential term of a contract, the amount of any royalty or price needs to be ascertained or ascertainable in an objective manner. Any true up should therefore refer to objective terms and standards (such as generally accepted accounting principles), ideally with a short-form procedure to allow for any dispute to be resolved by an independent expert. 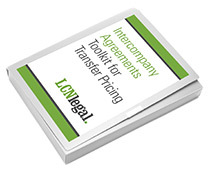 Download our free guide to implementing intercompany agreements for a multinational group.